Recently, I read Why Just Survive When You Can Thrive by Keri Snyder and loved it! It's about growing and thriving in your role as a Christian mother, and it's really motivated me to step up my game. So it got me thinking...what are the best books, blogs, and reads that will help us grow in our lives as wives, mothers, and women? Don't read this book some place where you need to be quiet because this book will make you laugh and cry! 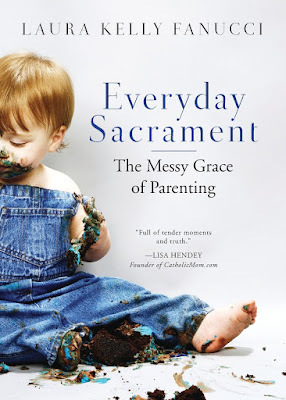 Laura uses her everyday life experiences as a mom of little ones to show the beauty of the faith. It really opens your eyes to see God's Hand in all the little things of everyday life. My favorite part: Laura is so real. She struggles with infertility and miscarriage (and earlier this year, they lost their twin girls shortly after birth) so she strikes a chord with so many mothers. Also, it's a quick and easy read. The chapters are small and broken up into smaller sections. 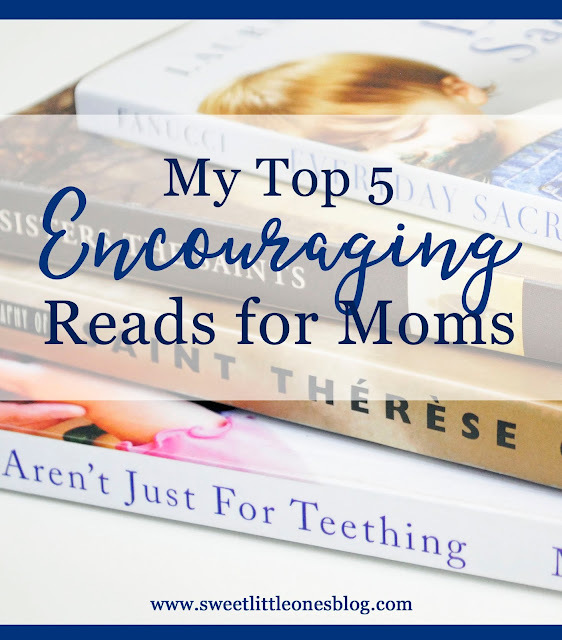 It's perfect to read when you only have 5 minutes here or there - which is all we have as moms, am I right? This book is so unique and beautiful! 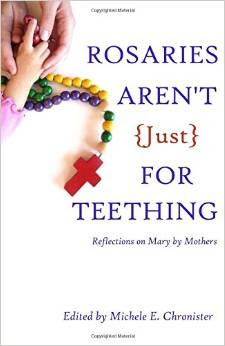 It goes through each mystery of the Rosary and reflects on the life of Mary as Jesus's mother and relates it to our role as mothers. My favorite part: Each chapter is stand alone and only a few pages. It's a good book for when you only have short bits of time to read throughout the day or week. 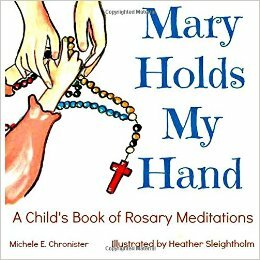 It is also perfect to use while meditating on the Rosary! This is my #1 all-time favorite book. I've read it multiple times, and it always inspires me to grow deeper in my faith as a woman, wife, and mother. It may sound crazy considering St. Thérèse was a cloistered nun and wasn't a wife or a mother, but every word of hers strikes right at the center of the feminine heart. It is truly beautiful and life-changing. 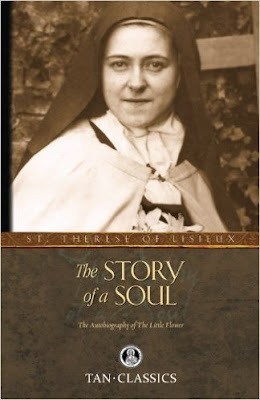 My favorite part: St. Thérèse's path to holiness is called "The Little Way". It's a way to grow in your faith through childlike devotion in the everyday happenings of life. It's the perfect way to "pray without ceasing" through your daily actions. 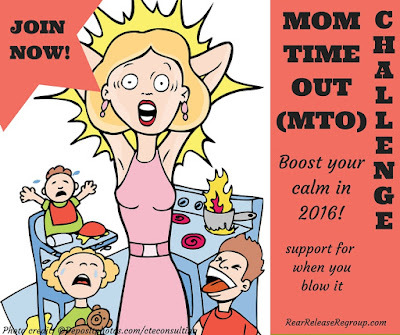 MTO is a safe place to go as a Christian mother to receive support and encouragement whenever you need it. It is such a wonderful community of moms because each and every member is understanding because they're going through the same struggles and joys of parenting as you are. 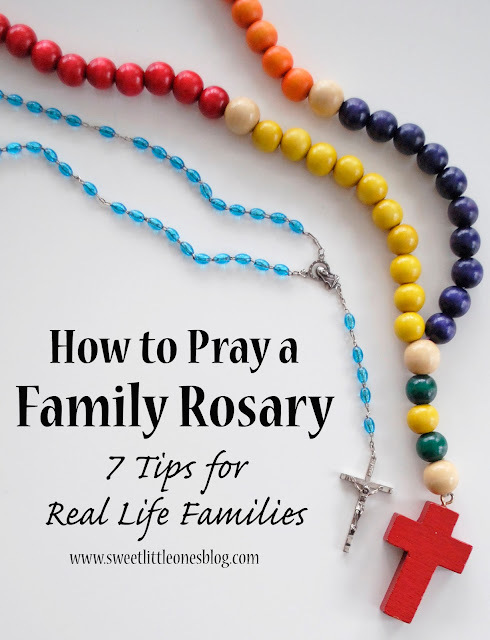 What I love about this Facebook group is that Ruthie presents Scripture, action plans, prayers, inspiration, challenges, and encouragement every single day to help all of us members to grow, not just in our vocations as mothers, but in our faith as well. My favorite part: You can ask for support, encouragement, and prayers without fear of being judged. Let's face it, we all mess up, and we all need help. So I love how this group is all about building one another up as daughters of the King! 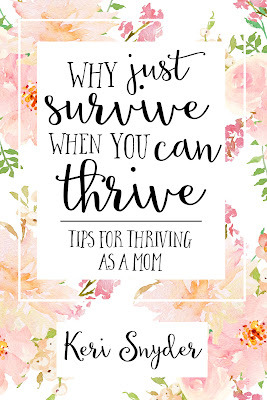 This book is a great motivation because it takes common mom fears and turns them around into ways to thrive. It really shows you how to break past survival mode and choose joy in the everyday. You can read my full review here. 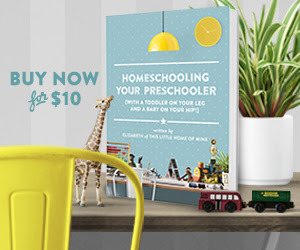 My favorite part: I especially love all of the "extras": the little challenges and reflections at the end of the chapters and the beautiful Scripture cards that come with the book. It is also a quick read with short chapters, which makes it ideal to read when you don't have a lot of time to spare. I've heard it's amazing, and I can't wait to dig in! I have always seen the saints as my friends in Heaven, so I know I'm going to love it. I used to read these beautiful Scripture reflections everyday, but I've fallen out of the habit. They helped me so much in my spiritual life - I need to get back to it! P.S. They're free and emailed to you every morning - so check it out and sign up! I've done the Morning course and loved it so I got the Evening course when it came out a few weeks ago. 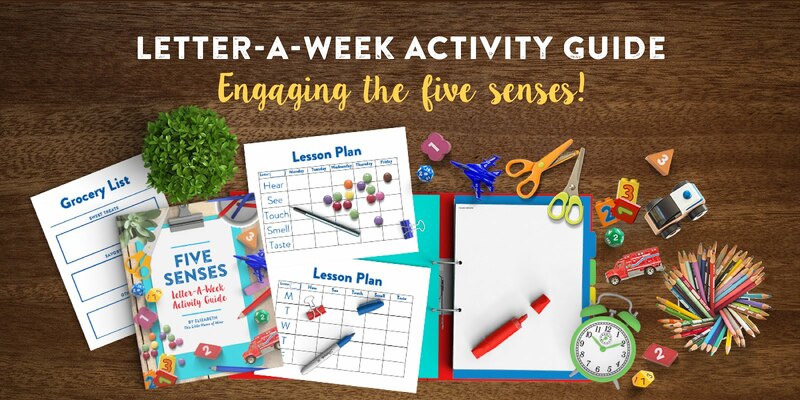 It does a wonderful job of helping with time management, setting achievable goals, being realistic, and choosing joy. But once again, I've fallen out of the habits I made during the Morning course. So my goal this summer is to go through both courses and really put them into practice. 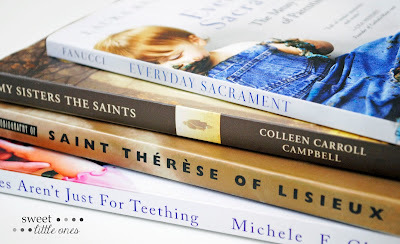 What are your favorite books, blogs, podcasts, courses, and encouraging reads about being a wife, mother, and woman? I'm looking forward to adding more to my must-read list!